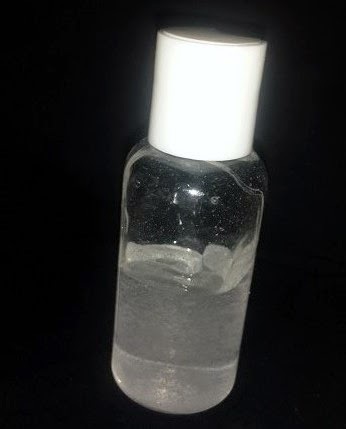 Home Made Hand Sanitizer recipe. Before now, "hand sanitizer" was hardly on my grocery list. In fact the last time i bought one was when i had my last baby. I prefer washing my hands, to using hand sanitizers. I don't mind washing my hands 500 times a day if i could. The Ebola virus has got everyone on their toes, not to talk of how serious its getting. So, i had to make sure, i secured my own end, so to speak. This is what my mixture yielded. 2 weeks ago, i set out to buy some hand sanitizers, lo and behold, the thing was no where to be found. Choi! That was when it dawned on me that the situation was critical. I drove all around, every store i went into was out of stock. So last week i tried again. I finally found some in a store in Ikeja *rolling my eyes* It was a 50ml bottle and it went for N600!!! I tried to express my concern (how expensive it was) to the guy at the counter, he just gave me that look of: " See this one, hmmm if you don't want it, drop it! Something that many people are looking for" I paid with vex and left. What even annoyed me the most was when i finally applied some to my hands, the smell was just....yuck!! When i got home, (still vexing) my "Dexter mode" kicked in, and i went into my lab. There has got to be another way now, is this what me and dis guy will be doing everytime i go there to buy hand sanitizer? No way!! So i joggled to my loot and found a few things could use to concoct a nice home made sanitizer Hahahahahahahaha!!! *Evil scientist laugh!!! * Most of us have all these ingredients at home already, so no fuss. make some and send to your loved ones to try. 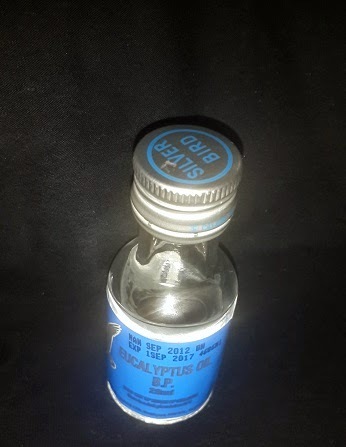 30ml pure "Methylated Spirit" or 95% Isopropyl alchohol. 20ml Pure Aloe vera gel. 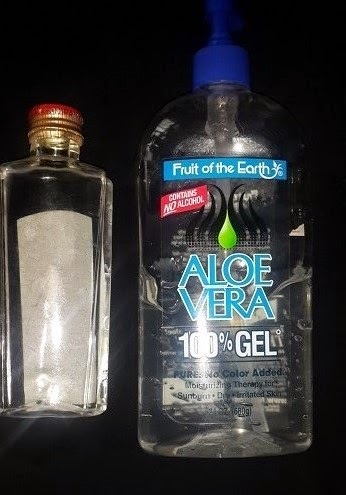 A small 100ml plastic bottle to store it in. Add all the ingredients into the empty dry plastic bottle. If you like it really moist then add more aloe vera gel but be careful, aloe thickens mixture greatly. I personally love the smell of the isopropyl, hence i didnt add any fragrance to mine. You may choose to add some drops to your mix. The good thing about this recipe is that it doesn't dry out your hands like the regular sanitizers do. Those that work in very cold offices will love this formula. You can start with this small batch, if you like it then make more. This is not a permanent solution to the problem, wash your hands immediately you get the chance to. I believe with God, there is a way out of everything bad situation. I pray that God sees Nigeria out of this time of crisis. Amen. Stay safe and God bless. kudos Cheliz, ure doing a great job. Thanks. Thanks Ugo. God bless you. Thanks Fina. Its sold in drug stores for like N200 its what we call "SPIRIT" used in first aid. Cheers. Well done Cheliz, pls can I also use the gel from an aloe vera plant too? Thanks. Hi Eno. U can, but u'll probably need to store it in the fridge after every use. thanks and God bless.